As a part of our Peace Mala Commitments and Rights and Respecting Work, we have started working with an organisation called WE. WE Schools is an educational charity, aimed at empowering young people to take action against social issues. 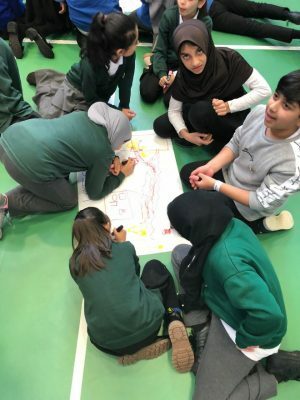 On Tuesday 20th November 2018, we attended our very first youth summit at Heald Place Primary School all to do with human rights, and we worked with a selection of KS2 students from 5 other schools in the local area too. Our Peace Mala Ambassadors and Student Council attended this special event as this supports the roles in the school. There were various activities throughout the day exploring the rights of a child, getting the children from all schools to think about how they too can take action towards enabling all children’s rights and ensuring there is access to education for all children, which we are sure you will agree is such an important global issue. 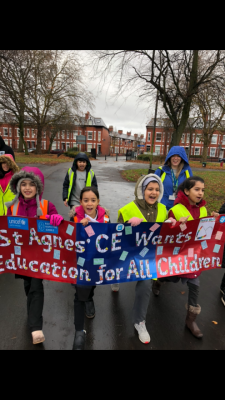 It proved to be a wonderful day, which provided a space for young people from the local area come together and make sure the voices of children who cant be heard were supported by our schools! What is the WE Movement? You can learn more about this wonderful charity by clicking on the link below. WE teaches us that even as children, we can make a real difference to the world we live in! Their work fits perfectly with our Peace Mala values now we are a Peace Mala School and duties as a Rights and Respecting School. During our morning session, we were given a task to make a paper boat. Some groups were given the instructions and others were not. We were given the same amount of time to complete the task, but the outcomes were very different! It showed us that we need collaboration and communication for all children to access education. 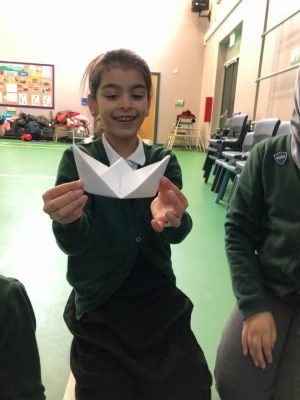 We learnt that through our words and actions we could all be successful in making a boat, it was knowing that we needed to work together to ensure that it was achievable for everyone! 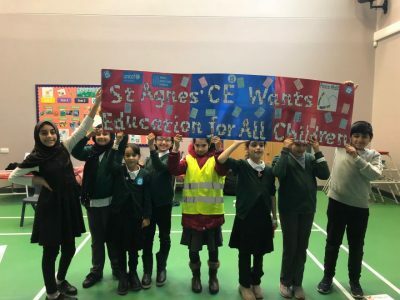 We were very lucky to have Bushra on our team as she definitely was the team leader on this task, she supported all St Agnes’ children and ensured that we were one of the first groups to complete our task too. 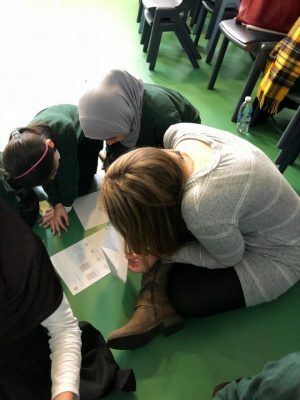 The next task we were set was to think about how the context and country of a child’s birth can impact on their educational success. 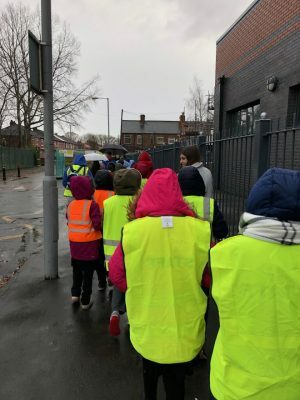 We learnt that all children in the UK get a free education in the UK until they are 16. We also learnt that over 40% of children across the world have no access to education, in particular girls. Each of the schools was then given a colour pen (pink for St Agnes) to show their mark for a given country. 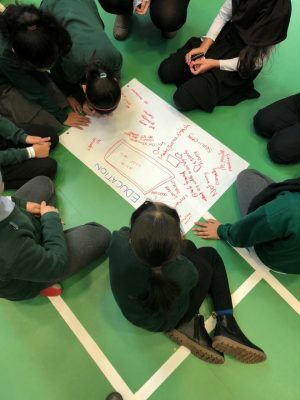 We were given India, we had to use a pink pen and look a various barriers that the children in India may have when in education or trying access the educational systems. 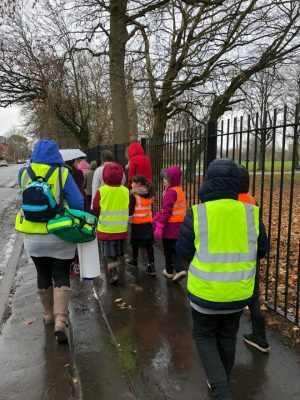 Before lunch, we were given the chance to design our posters to help us on our march in Platt Fields Park, Fallowfield Manchester. 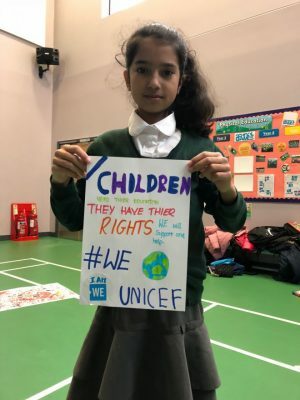 We are sure you will agree the children made some fantastic posters and you can see that they are passionate about all children having their right to education! 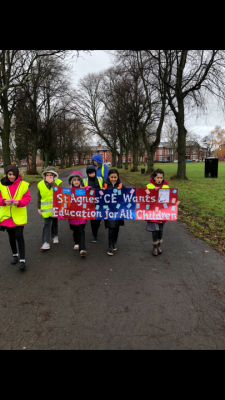 Then, after lunch, it was time for our Peaceful Protest for ‘Education for all Children’ in the park. The point of our procession was to make sure the voices of children who cannot be heard, are spread through our own. 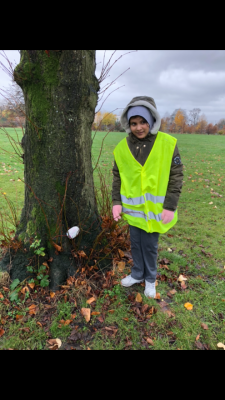 We asked for ‘education for all’ and promoted our ‘Peace Mala Message’ by leaving message pebbles around the park along the way! 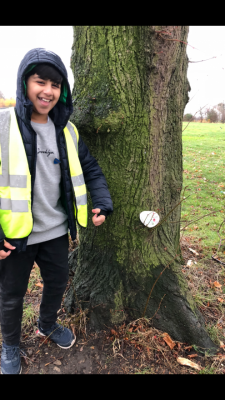 We placed them in tree branches, so people who pass will spot them! We had a fabulous time, even if it was pouring down, the rain didn’t break our spirits. 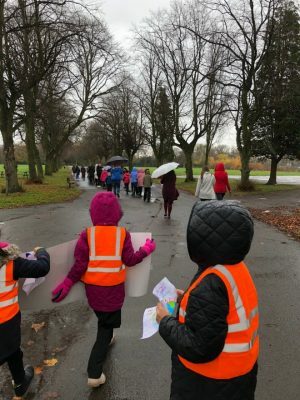 In fact, the children’s voices echoed across the park. It was truly moving! Leaving our Peace Mala Pebbles to spread our message along the way!